You are currently browsing the category archive for the ‘Retirement’ category. 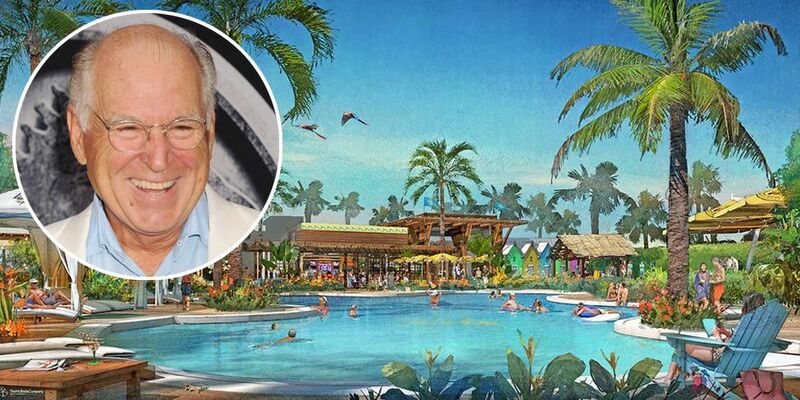 Jimmy Buffett has a Real-Life Margaritaville Retirement Community!?! Get your flip-flops ready!! Jimmy Buffet has partnered with Minto Communities to create a community for people 55-and-older in Daytona Beach, Florida which promises to “reflect the lifestyle embraced in Buffet’s songs”. Say what? Get your limes & salt shakers out. The 6,900-home community says it will be tropical & fun.The plans include a pool with cabanas instead of a central park & statue like most towns. Music, food, beverages, an onsite fitness center, indoor lap pool, spa and an outdoor resort-style pool will be the core of this development. The first phase of the Latitude Margaritaville, Daytona Beach, homes are expected to be ready to move into by fall 2018. They’ll feature Old Florida and Key West architectural styles and range in price form the low $200,000s to the mid-$300,000s. They are also going to have some live broadcasts, artists unknown at this time, from there on their SiriusXM Channel. And yet another reason to move to Costa Rica! Robbie, in her early 60s, has the chronic illness lupus. But she found relief from her symptoms (including arthritis and skin allergies) after arriving in Costa Rica. And she’s not alone. Robbie is just one of the many expats who no longer needs a raft of medications since moving down here. “My high blood pressure has come down almost completely.” says Nel Cameron, 68, who lives in Escazú, a suburb of Costa Rica’s capital, San José. So what is it about Costa Rica that causes your blood pressure to plummet and your dependence on meds to go fade away? It’s an attitude shared by most Ticos, as Costa Ricans call themselves. They value time with family and friends. They work hard, but you won’t find them sacrificing playing soccer with their kids at the park by staying late at the office. They know that a well-balanced life, where you spend time in your community or doing things you enjoy, is key to good health and wellness. It makes for a low-stress lifestyle. And most expats find that, soon after arriving in Costa Rica, they adopt the Pura Vida way of life, too. They slow down. They get out of the habits they had for years when they were part of the daily grind. They enjoy coffee on their back porch, enjoying the scenic vistas of the Central Valley or Lake Arenal. Or breakfast with their toes in the sand with friends, after a long walk on the beach. Reducing stress and learning to enjoy life is only one way expats find themselves improving their mental and physical health. Just about every Costa Rican town of any size has a feria, or outdoor farmers’ market, at least once a week. Most expats adopt the local habit of doing the majority of their shopping there. The price is right. With pineapples for $1, heads of lettuce for 75 cents, tomatoes for 50 cents a pound, and other bargains, you can load up on a week’s fresh fruits and vegetables for about $35. You also have fresh fish like snapper, tuna, or dorado (mahi-mahi), straight off the boat, for $5 to $6 a pound. With these prices—and the abundance of fresh, whole foods—you can’t help but have a healthier diet. It’s common for expats to eliminate the need for some prescriptions. And lose significant weight—20…30…40 pounds or more—in the process. Harry and Barbara Jones, a 60-something couple, live in Grecia, in Costa Rica’s Central Valley. They’ve found that living like the locals—shopping at the local farmers’ market for fresh fruits and vegetables, for example—allows them to cut their monthly budget to well under $2,000. Another benefit of their newfound healthy eating habits: “I’ve lost 30 pounds since moving down,” says Harry. Diet is just one part of the equation. You have no shortage of options for exercise in Costa Rica, thanks to the warm, tropical weather year-round. On land, you can take long walks on the beach, trek through jungle, or hike vigorous trails to mountaintops with panoramic vistas. Watersports like surfing, standup paddle boarding, and kayaking are hugely popular on the coasts, with plenty of schools and instructors to help beginners of any age. In the beach areas, it can be hot and humid—too much for some, just right for others. But head to the Central Valley and you’ll enjoy cool mornings where you need a sweatshirt and afternoon highs in the mid-80s F, with little humidity. Jeff and Allison Spencer, 60 and 58, respectively, were educators in Arizona before retiring early and moving to the Lake Arenal region, which features a consistent, spring-like climate. Of course, just walking out your front door can provide a lot of exercise. Many communities in Costa Rica are also very walkable. If you live in a town in the Central Valley or in one of the many laidback beach towns, you can get around mainly on foot for trips to the grocery store, local restaurants, and the like. If you’re in more outlying areas, there is excellent bus service and cheap taxis, so there’s no need to depend on a car. With all these factors, it’s no wonder that one of Costa Rica’s regions, the Nicoya Peninsula, was named one of the world’s Blue Zones by researchers. They discovered that locals live longer on average, thanks to a combination of diet, climate, and lifestyle. I can’t say you’ll live longer as an expat in Costa Rica. But you’ll certainly be healthier. This is a great article to read if you are thinking about purchasing a second home, an investment property or a retirement home in another country. David McKeegan, co-founder of Greenback Expat Tax Services, weighs in on the issues U.S. expats should consider when buying and selling foreign property. Whether American expats are looking to buy overseas property as an investment, vacation home, rental or residence, taxes should always be top of mind. Regardless of the potential return on investment, beauty, or the property’s fit into your expat lifestyle dream, consider these tax do’s & don’ts to ensure your purchase is one you don’t regret. As a U.S. expat, if you are purchasing a foreign property primarily for investment purposes (either in your expat country or elsewhere outside of the U.S.), doing so as an individual may be the easiest but not the most advantageous decision. While tax time will be less complex (simply reporting rental income/expenses on your 1040), individual ownership offers you no liability protection. For LLCs with only one owner, the LLC is considered a “disregarded entity” for tax purposes, and all of the activity will be reported on the individual’s personal U.S. tax return. This eliminates the burden of filing separate business tax returns and avoids the increased accounting fees associated with a business tax return. When you purchase a foreign property, you will likely transfer a large sum of money into your foreign bank account for the initial down payment. Before you do, find out the foreign-exchange rates and fees associated with the transfer and even seek a professional broker who can ensure you obtain the most beneficial exchange rate possible—this could save you thousands of dollars when you buy and can impact your profit when you sell. Remember that the U.S. may tax you on any resulting gains when you sell your property. The exchange rate gain from paying off a mortgage is calculated by converting the amount of the loan to USD using the exchange rate at the time the loan was originated and the exchange rate at the time the loan was paid off. The resulting gain is taxable as ordinary income using your marginal U.S. tax rate. If you have held the property for more than a year, however, you’ll be taxed at the long-term capital gains rate of 0%, 10% or 20%, depending on your marginal U.S. tax bracket. Mortgage interest and points are deductible on your U.S. expat tax return, even though the property is in a foreign country. But the deduction can only be taken against income that has not been excluded by the Foreign Earned Income Exclusion. So if you exclude all your foreign income, you’ll need to have U.S.-sourced income or non-excluded foreign income to use this deduction. The gain on your foreign property sale may be taxed by the country in which the property is located, as well as the U.S. For U.S. tax purposes, this gain is considered foreign-sourced income, so you may be able to use the Foreign Tax Credit to reduce your resulting U.S. tax liability. However, the gain isn’t considered foreign earned income, so it cannot be excluded using the Foreign Earned Income Exclusion. As a U.S. expat living the life of a digital nomad or bouncing around for your career, planning to live in a residence for 2 or more years may not be possible. But regardless, try not to sell for at least two years. The reason is that when you live in the home for 2-5 years, you will be eligible to exclude a gain of up to $250,000 (or $500,000 for those filing married jointly) from U.S. taxation. If not, the full gain will be taxed at the applicable capital gains rates. David McKeegan is Co-Founder of Greenback Expat Tax Services, which specializes in the expert preparation of U.S. federal tax returns for Americans living abroad. Punta Loros, a planned luxury resort and development property that spans 800 acres in the Central Pacific coastline of Costa Rica, recently tendered its environmental impact study to the Technical and Environmental Secretariat (Spanish acronym: SETENA). The study is an important part of the compliance process required to make this ambitious project a reality. According to a news report by Spanish tourism trade publication Expreso, Punta Loros will require a $400 million investment and will consist of three hotels, 34 multifamily residential buildings, an 18-hole golf course, and plenty of luxury amenities to deliver a lifestyle reminiscent of upscale resorts in the Mediterranean and the Caribbean. Nestled along the coastline on the Central Pacific province of Puntarenas in stunning Costa Rica you will find Punta Loros, an 800-acre, luxury resort and development property. An easy 10-minute drive off of the main highway near Orotina, this development parcel or large private estate offers investors enormous potential on a unique and perfectly located property. Real estate is and always has been about value, and location, location, location, and Punta Loros absolutely delivers both. 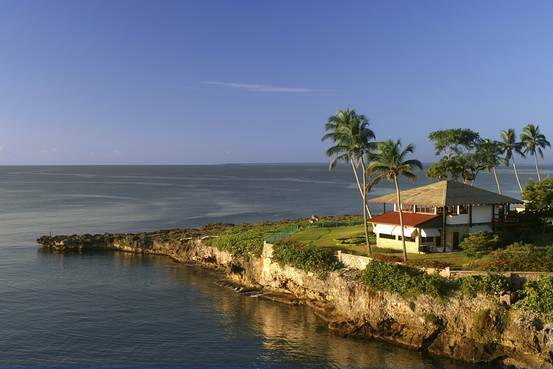 Punta Loros has a gently sloping topography with ocean views from almost ninety-five percent of the titled and deeded property. There is one-mile of Pacific beachfront with several distinctive bluffs with spectacular vantage points for optimal placement of hotel sites, an old world waterfront village, meandering golf course, world class spa, beach club as well as multi-use residential sites. Although the building permits in Punta Loros will allow for different architectural styles, the resort facilities will feature the elegant Spanish Colonial design. Up to 5,000 residential units will be constructed in Punta Loros over a four-phase period. 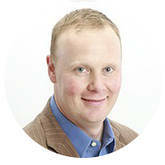 Marketing properties outside the country is significantly more challenging since they cannot be put into the MLS. Word of mouth and personal connections play a much bigger role when it comes to international properties. The Pinellas International Council (PIC) will give you a chance to share your properties with agents involved in international real estate transactions. This month’s speaker is Yvette Dalton – she’ll be joining us from Belize! 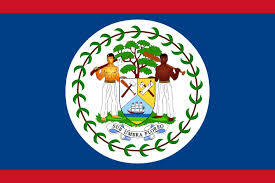 Belize has been chosen as a top destination for 2nd homes and retirement by US citizens. Due to Belize being a 2 hour flight from Florida and they are English speaking as the 1st language- Retirees and Expats from the USA account for 85 % of the Buyers in Belize. Although this opportunity is FREE for you, you must reserve your seat, as they are very limited. Affordable Retirement in the Caribbean-Waterfront property is selling at bargain prices in Northern Belize. A retirement home on the water can be affordable if you are willing to move overseas. Northern Belize is a remote region of tropical rivers, hardwood forests, traditional farms, sleepy rural villages and breezy Caribbean seashores. This is a refreshingly off-the-radar place where residents embrace a simple, friendly, by-the-sea lifestyle. It is also the best value destination in Belize and one of the most affordable options for retirement in the Caribbean. Northern Belize’s remoteness is part of its appeal, but remote living has its disadvantages, especially in retirement. This is why the proximity of this part of Belize to Chetumal, Mexico, just across the border, is so important. The town of Corozal in Northern Belize is a gateway town to Chetumal and from there to Merida and Cancun beyond. In Northern Belize, you could enjoy a bargain Caribbean lifestyle with easy access to shopping, city distractions and medical care in Chetumal. Belizeans are known for their hospitality. Plus, they all speak English, so new friendships are quickly and easily made. Corozal is home to an established and growing expat community, but this group is well integrated with the local Belizean community. Living here, you could fill your days sailing around Sarteneja, horseback riding at Chan Chich, kayaking at Orchid Bay, fishing at Bacalar Chico or bird watching at Crooked Tree Lodge. And you wouldn’t ever lack for company, Belizean or expat, if you wanted it. While some expat retirees are prepared to be pioneers and carve a homestead out of the jungle or maybe plant a farm, most prefer to settle in a town. The three most appealing places for expat retirees are Sarteneja, Corozal and Orange Walk. There are also expat pockets developing in places like Four Mile Lagoon and Gringo Lane. In recent years, planned communities have developed specifically with foreign retirees in mind. Property taxes are minuscule in Belize. This is a plus for those looking to save money on taxes, but it also means that municipal services are thin on the ground because there aren’t funds to support them. So, organized and private communities typically appeal to foreigners. These are places where you can enjoy a laid-back, bargain Caribbean lifestyle in Northern Belize while maintaining a North American standard of living. Retirees settling in this part of Belize are launching businesses ranging from restaurants, bars and bed and breakfasts to construction services and farming. Others expats are truly retired, choosing to spend their days deciding which book to read next or which restaurant to boat over to for lunch. Corozal, which is both a town and a district, maintains a friendship list so expats can stay in touch and know what’s going on. Every Wednesday, foreign retirees and residents meet at Jam Rock Restaurant for darts. One Thursday per month is the Corozal Women’s Forum. Fridays are for happy hour and potluck dinners in expats’ homes. The third Saturday of each month is Art in the Park, when local artists set up tables to display and sell their work. There’s a local chapter of the Rotary Club, a sailing club and full moon concerts in front of the Corozal House of Culture. Despite the growing expat influence and excluding most waterfront property, real estate in this part of the country is still priced for the Belizean market. This is unusual and likely won’t continue much longer. The presence of foreign buyers eventually translates to pricing for foreign buyers. This hasn’t happened yet, which means there’s a window of opportunity. As anywhere in the world, waterfront land is the highest priced and much more expensive than inland property. Inland you can find larger properties suitable for farming. If this idea interests you and you’re willing to dig deep and talk to the locals, you can find land for as little as $1,000 per acre. Still, the cost of waterfront property in Northern Belize is a bargain compared with prices out on Ambergris and Belize’s other cayes, and an even greater bargain compared with values elsewhere in the Caribbean. It’s possible to buy a sea-view lot for as little as $30,000 or a small but turn-key casita in some of the development communities in the region for less than $200,000. And a seafront house in Sarteneja built to U.S. standards on 1 acre of land was recently on the market and listed for just $299,000. According to a new annual report by Livability.com, each day nearly 10,000 Baby Boomers are turning 65, and retirement is within reach. Nearly four in 10 Boomers plan to move when they retire. With this in mind, Livability.com has named the Best Places to Retire, 2014. These cities offer access to affordable and quality health care, practical cost of living, retiree-friendly businesses and services, as well as several amenities to help keep residents active. Livability.com editors used data from Esri and the County Health Rankings to find cities with access to a large number of hospitals and doctors and yet still have low health-care costs. Housing affordability measured by the U.S. Department of Housing and Urban Development’s Location Affordability Index was also taken into account. Several measures including overall cost of living, natural amenities, climate, number of golf courses, walk score, and crime rate were selected from our overall Best Places to live metrics with special attention paid to specific concerns of seniors and Boomers. “The increases are insane,” Ramos said. “In the wintertime, we’re pushing $400 to $500 a month to keep the house warm.” So off to Nalcrest, Florida. Florida, the top draw for movers 55 and older, is gaining about 55,000 older movers each year, more than twice the growth it saw after the housing bubble burst in the middle of the last decade, according to a Stateline analysis of Census Bureau numbers. Florida’s annual growth for this age group is 138 percent. Low cost of living and warm weather are prime draws for retirees. They tend to move from colder or high cost states such as New York, Illinois, New Jersey, Michigan and California, in search of warmer and lower cost states including Florida, Arizona, North and South Carolina and Texas. Many of the destination states also have relatively low property taxes – for instance, South Carolina’s median annual property tax bill is just $769, compared to more than $7,000 in New Jersey. Ramos and his wife, like many, put off a move because of the recession. “The bank gave us a hard time. We should have been out of here a long time ago,” Ramos said. Because of speculative price increases, “the markets there have gotten more challenging for the people who really want to live there,” said Chris Porter, chief demographer at Burns. Recreation for today’s younger and healthier retirees is a big consideration – from the mountaineering and four-wheeling popular in the West to the bicycling, motorcycling and farming enjoyed by Kathy Merlino and her husband in South Carolina. “We moved from Michigan – high taxes, hard winters and high unemployment,” said Merlino, who now blogs on retirement after a career in banking and real estate. “I saw people moving here from Florida in droves. I called it ‘the Florida Trail’ as people had retired from the north to Florida, which was the tradition, only to find they disliked the extreme heat,” she said. North Carolina has also become a destination for so-called “half-backers” who moved halfway back to their Northeast origins, said Rebecca Tippett, director of Carolina Demography at the University of North Carolina. Florida, however, remains by far the destination of choice. A recent study by the University of Florida’s Bureau of Economic and Business Research (BEBR) found the state’s economy is becoming more dependent on tourism and retirees as agricultural lands are increasingly plowed under for housing. Service jobs for retirees have created a lower-skill job structure, the study suggests. “They’re all seeking some of the same elements, like a walkable community and a booming economy, as well as being close to family members,” said Harrell, who also pointed out that the vast majority of retirees do not move at all. New York state may have the largest loss of older movers, about 29,000 per year, but that’s a tiny fraction of the million senior citizens in New York City alone, a number projected to grow 30 percent by 2030, according to Joe Salvo, population director for the city’s planning department. “This increase is attributable to a number of reasons: walkable neighborhoods with easy access to stores, parks, and entertainment as well as transit, existing social networks and nearby family, strong social and community services, and the list goes on,” said Salvo. Frey’s study indicates that moves by older Americans have rebounded faster than those of younger millennials. The stock market recovery is uniformly cited as a factor. from www.floridarealtors.org Copyright © 2014 Stateline.org, Tim Henderson. Distributed by MCT Information Services.